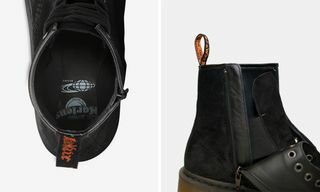 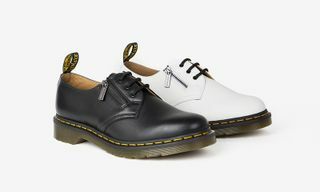 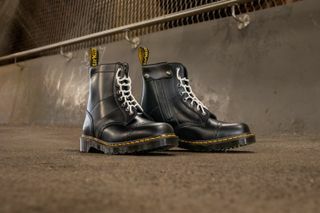 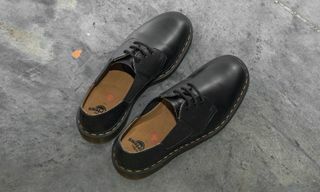 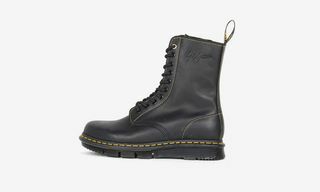 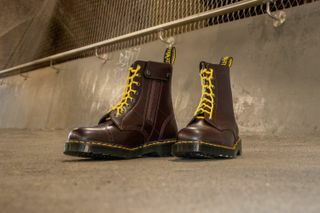 Key Features: Premium leather and suede constructions, distinct brogue toe-cap detail, medial zip with zip guard to evoke a biker feel, contrasting laces to complement the silhouettes’ tonal theme, iconic yellow welt-stitch, scripted heel-loop and Dr. Martens’ Airwair sole. 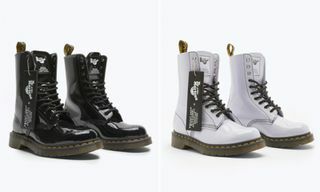 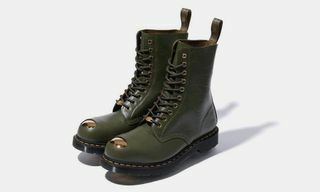 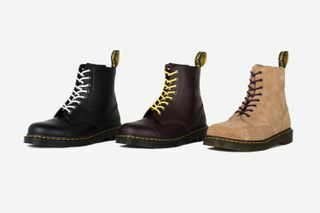 Editor’s Notes: After teaming up with COMME des GARÇONS on its 1461 silhouette, Dr. Martens returns with another collab, this time with Needles owner Keizo Shimizu to reinterpret their classic 1460 Made in England boot in three variations. 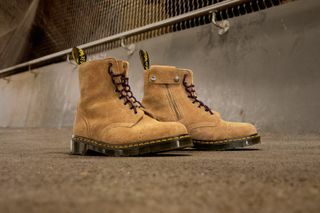 Rendered in stylish colorways of “Sand,” “Oxblood,” and black, the boots are enhanced with a rugged sense of adventure, while retaining its signature aesthetic. 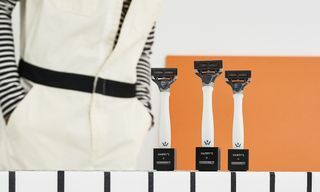 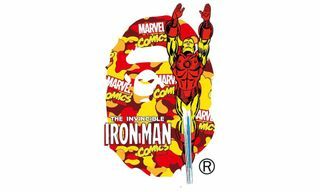 The offerings will also come packaged in a special Needles box wrap with a branded swing tag. 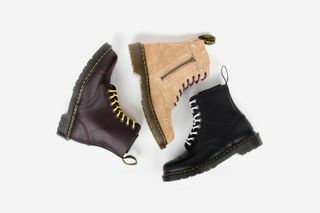 In other footwear news, Birkenstock opens up its first U.S. flagship in NYC.